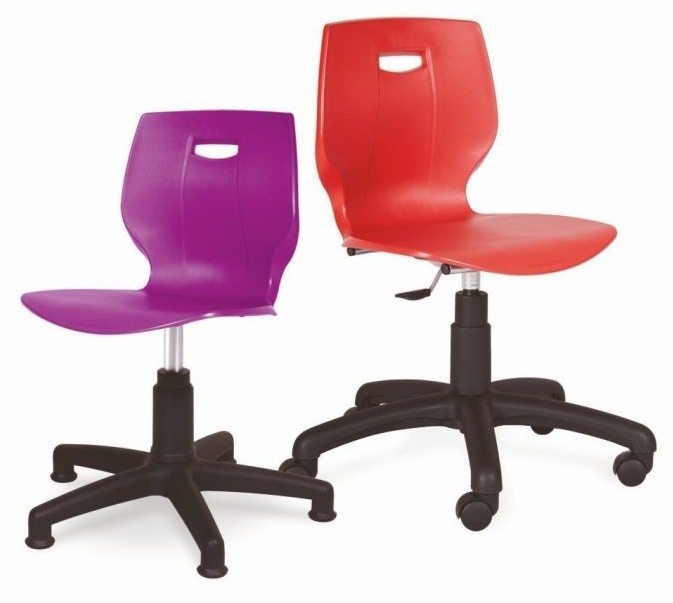 The Thor Poly Student ICT chair is a chair designed to encourage excellent ergonomic posture within the teaching environment. The shell is available in 9 attractive colours, the 5-star base is available in black or chrome. It has an easy to use gas lift height adjustment and the option of castors or glides. This Student ICT chair features an extra wide waist for guaranteed comfort of a range of users.